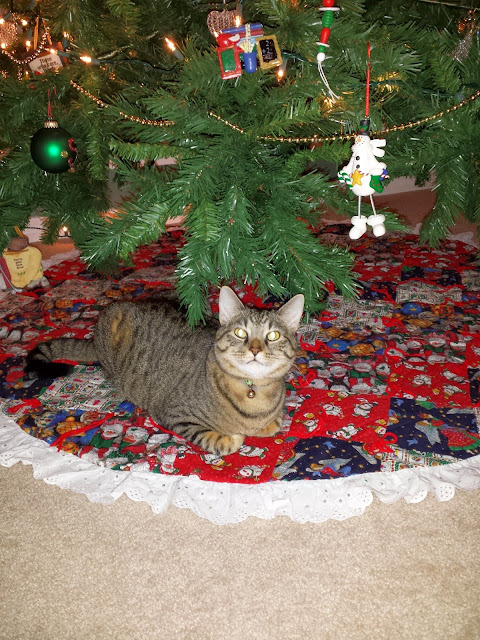 Road Runner Girl: Oh Christmas Tree! Today I am traveling to Memphis for the St. Jude Half Marathon on Saturday! I am so excited...despite the ice storm that will be traveling through tonight until Friday night! :-/ Make sure to follow me on Instagram, Facebook, and Twitter to see updates of my adventures all weekend! 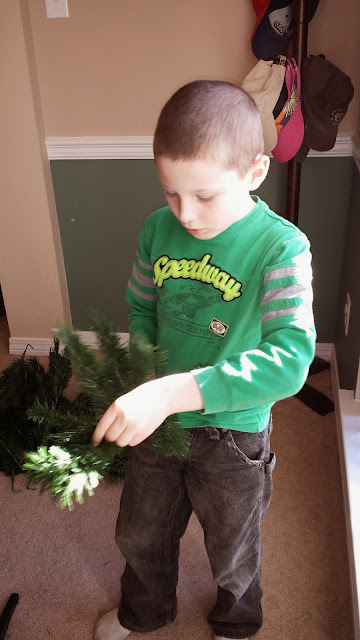 For now...I'm going to tell you all about our Christmas tree decorating this year! Christmas is one of my favorite times of the year...as I'm sure it is for most of us! 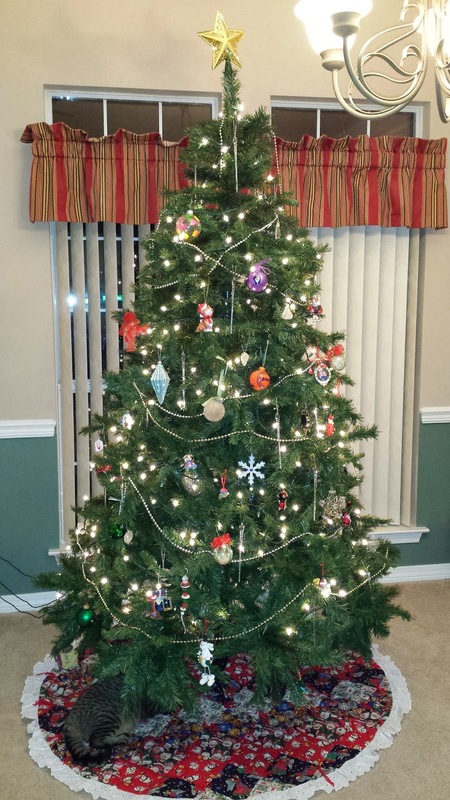 It's tradition in our house to always put our Christmas tree and decorations up on Thanksgiving weekend. This year we didn't break the tradition. Even if we'd wanted to...the boys wouldn't have let us! 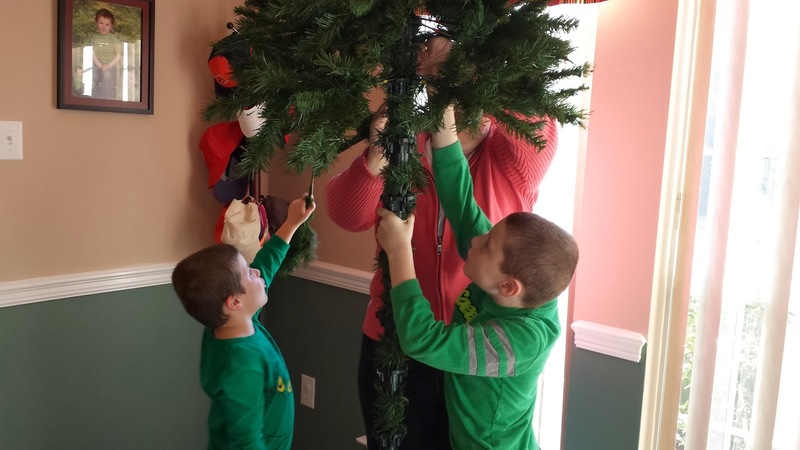 They begged all week (even before Thanksgiving) to put up the Christmas tree. I refuse to put it up before Thanksgiving because I believe that holiday deserves it's own recognition and doesn't need to be rushed. But the day after is fair game! 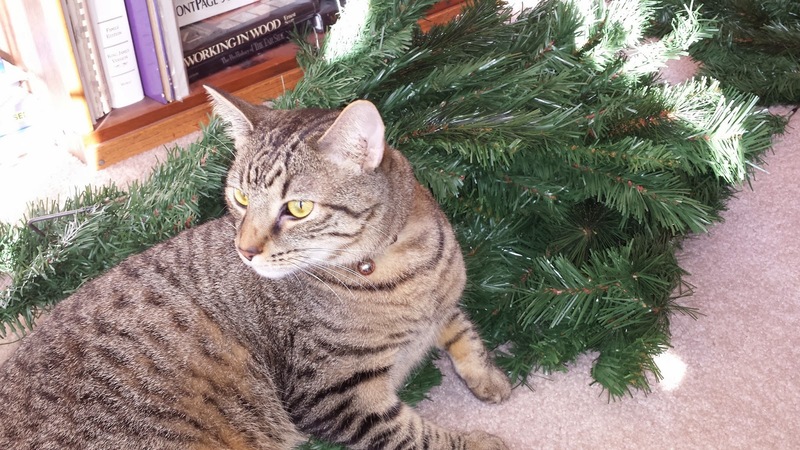 This year we put the tree up on Black Friday...after all the shopping of course! 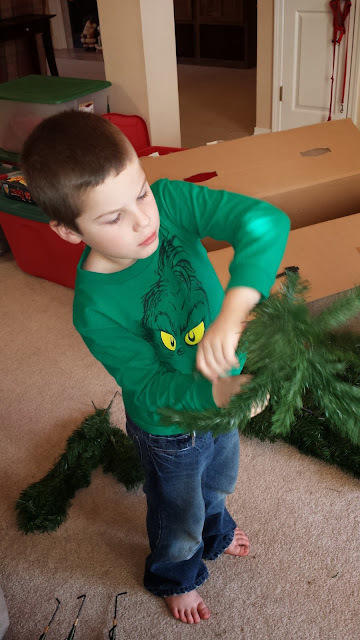 Aunt Katie helped the boys put the actual tree together (while Daddy napped on the couch...shopping wore him out lol). They made sure all the branches were perfect! Cullen did a good job supervising! 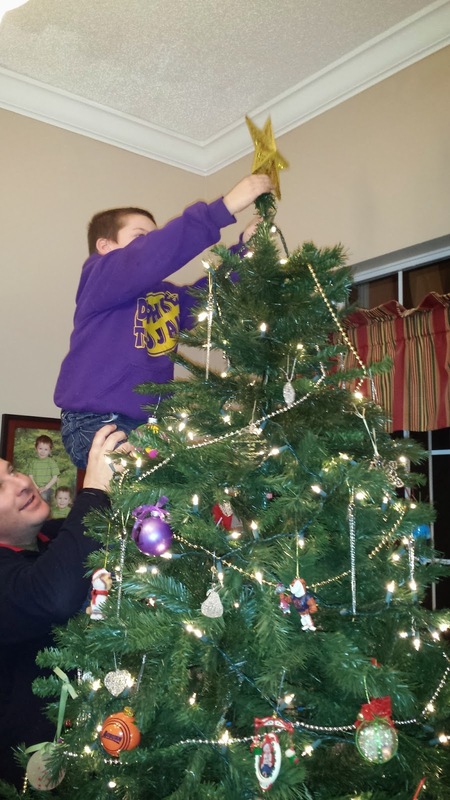 After the tree was up...Daddy and the boys strung the lights! Then we all took a dinner break. And couldn't resist going to one more store! 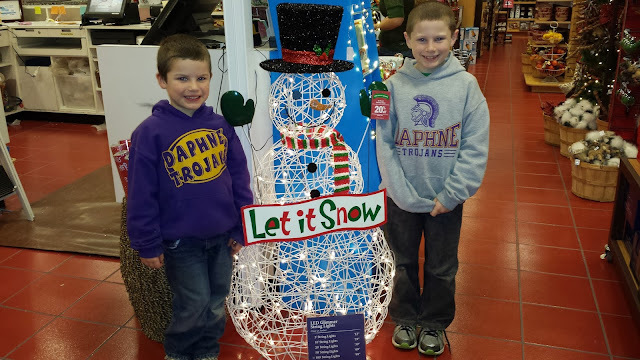 The boys loved this snowman in Pier 1 Imports! When we got home we started putting all the ornaments on. The boys just love helping! 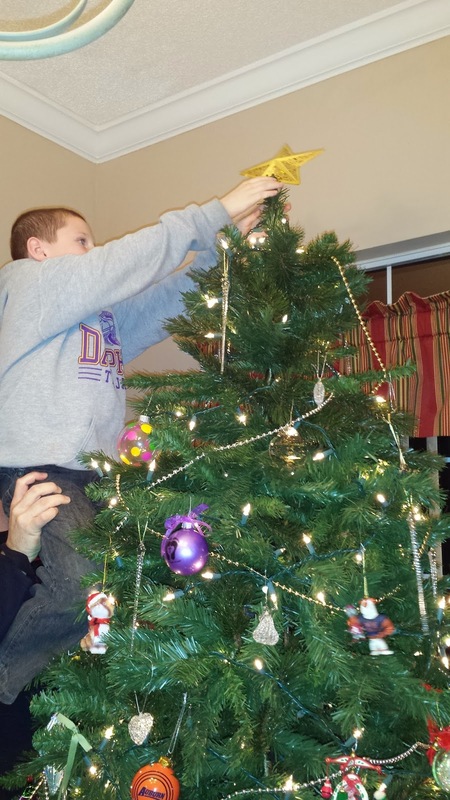 The final touch was adding the star to the top. It was Sawyer's turn to do it this year but he couldn't get it to stay on. So Hayden finished the job! And here's the finished product! Our tree isn't fancy but every ornament means something and that's what I like most! 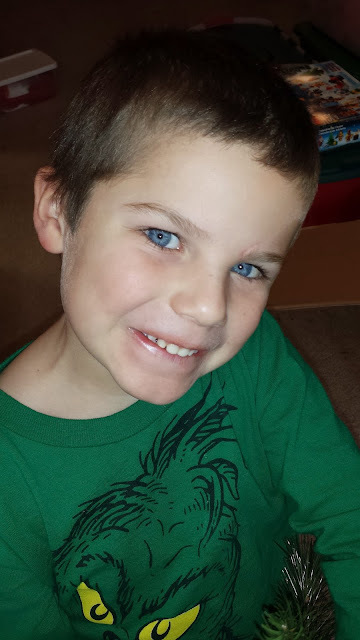 Cullen now has a new favorite spot to sit! 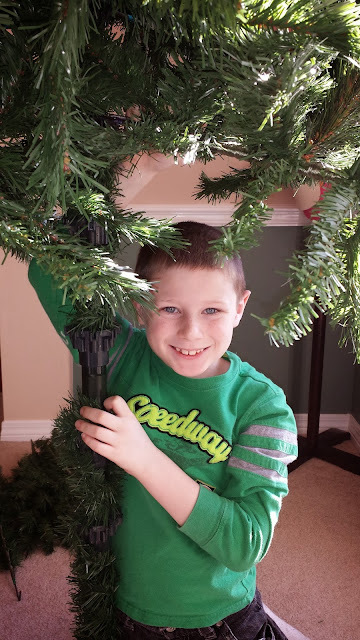 QOTD: What kind of Christmas tree do you prefer? Real or artificial?